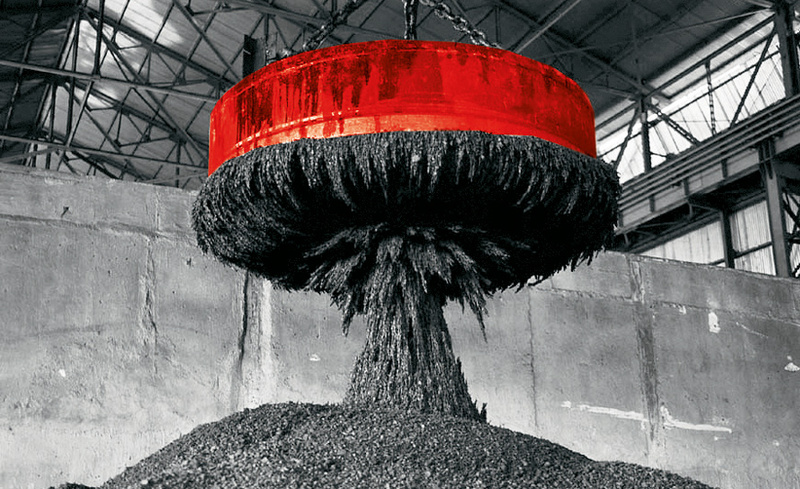 High-performance GTS generators, innovative controls technology, and a customer oriented controls concept are the essentially building blocks of our GTS iMAPLA magnet plate systems. GTS iMAPLA provides an increase in productivity of up to 25 percent. Rely on our nearly 20‑years of experience and our globally proven system. Our advantages: With our IP54 generators and intelligent controllers for load-lifting magnets, the GTS iMAPLA systems, we offer optimal solutions for high productivity in material handling and sorting. The GTS iMAPLA System is the professional solution for your mobile magnet plate system: Wherever you want to go, take advantage of our GTS iMAPLA system in a wide range of industries and different applications, always with the benefits of our professional system solutions custom-built to your specifications. We provide versatile system configurations within the iMAPLA family. iMAPLA CLASSIC is a fully integrated system, that can be installed in any conventional handling machine. 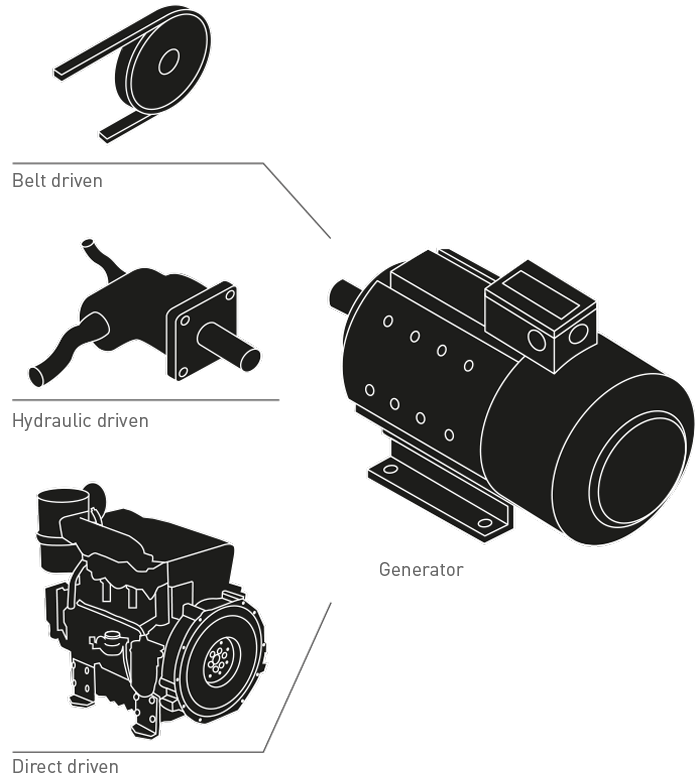 In this case the generator is connected directly to the engine of the machine, in order to generate electrical energy. 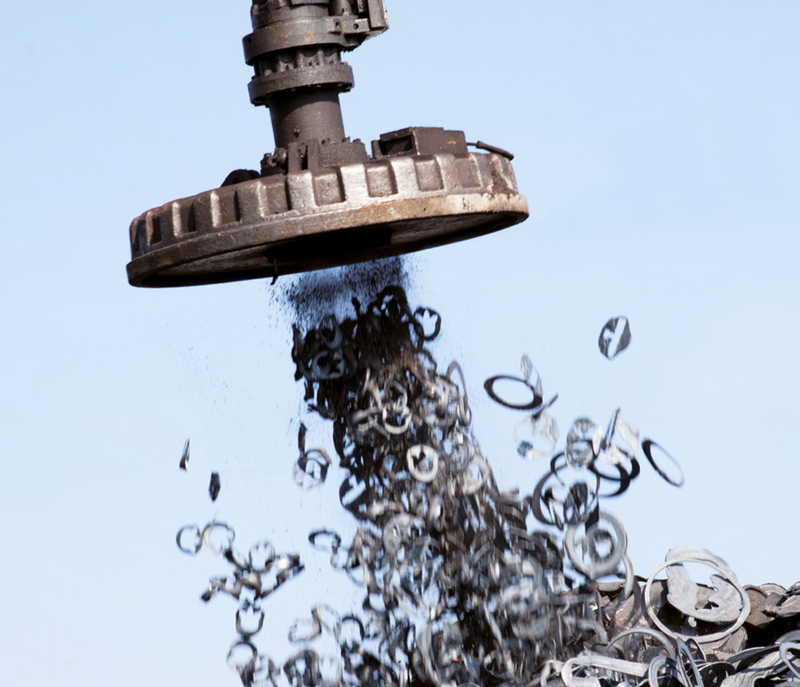 Our iMAPLA CLASSIC is particularly well suited for use in scrapyards and recycling facilities, where magnetic material must be continuously handled and sorted. 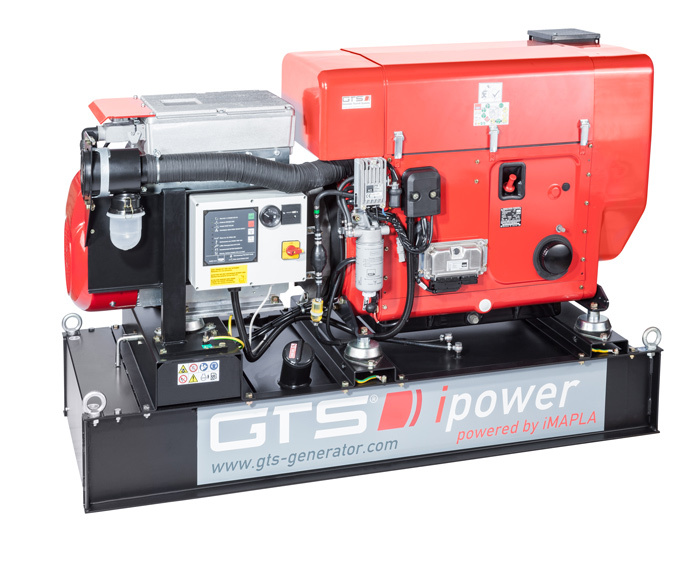 Gensets are autonomous mobile devices that consist of the GTS-iMAPLA system and integrated diesel engine. 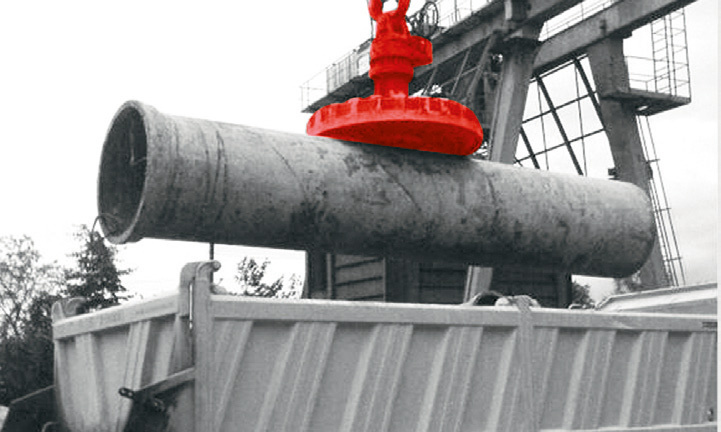 They are used on large fork trucks in steel plants, for example, as well as port facilities and airports. 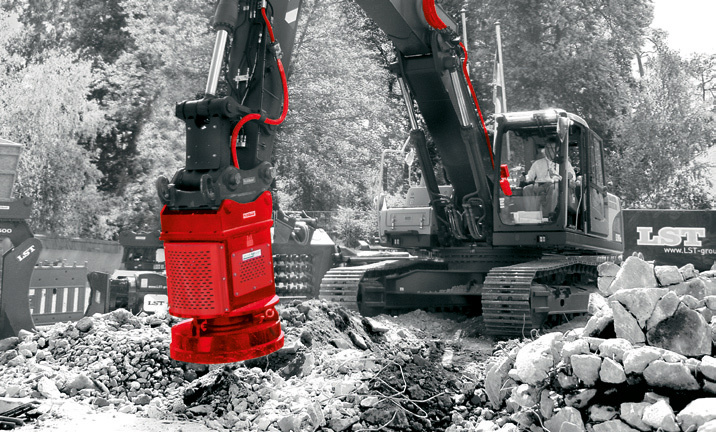 iMAPLA QUICK is the ideal solution for demolition companies that handle, sort or filter out magnetizable materials. In this case, the generator is re-equipped in the short term. 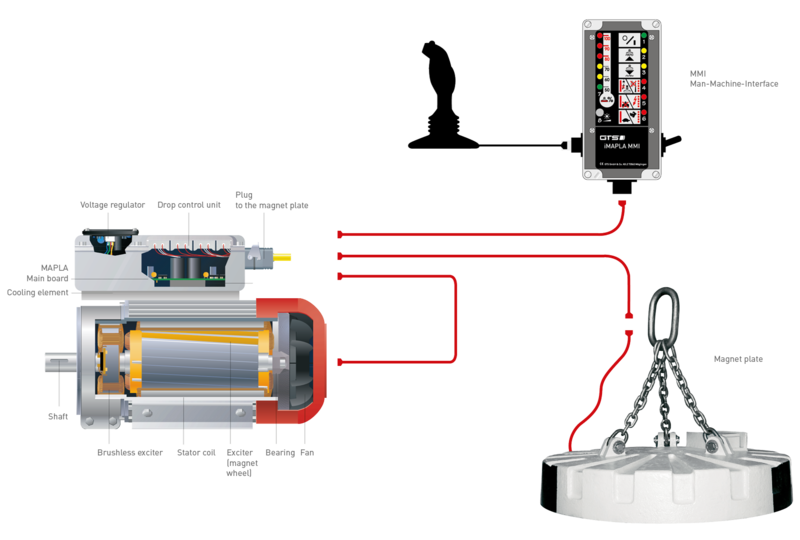 The GTS iMAPLA QUICK tool consists of the GTS generator and the electronic GTS controller, and is mounted on the load-lifting magnet. It can be connected to the MMI of the machine by cable or wireless connection. In this case, the generator is driven by hydraulics. 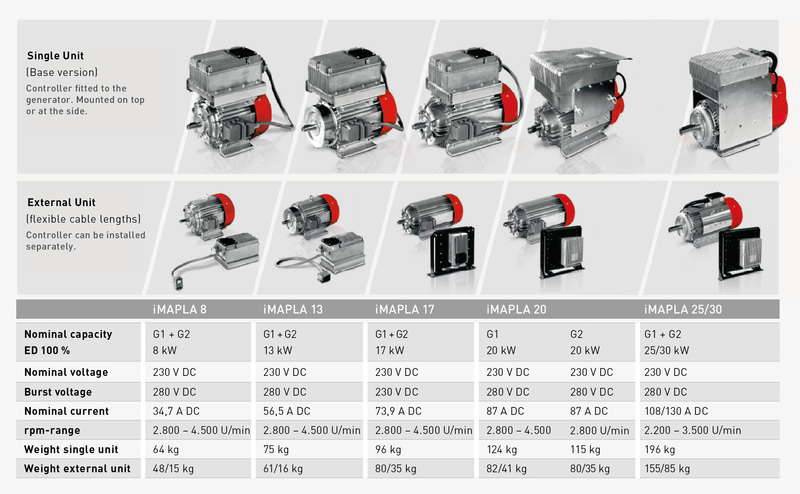 The GTS iMAPLA is an intelligent system, with optimally matched components – for higher performance and custom adaptations. The GTS iMAPLA System stands out through its modular design. With “Plug & Play” components, it can be installed quickly and easily and opens up versatile applications for users.